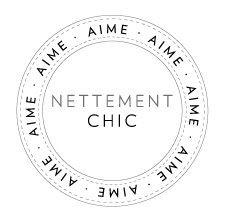 For our final postcard of the summer, Nettement Chic sets sail for the Italian island of Panarea. Anne-Sophie Mignaux, founder of super chic jewellery e-store Caratime, takes us on a tour of the jewel of the Tyrrhenian sea. Winding streets, divine seafood and turquoise waters are the order of the day. And don't forget to have a look at our e-shopping selection to ensure that your holiday wardrobe is just as chic as your surroundings! 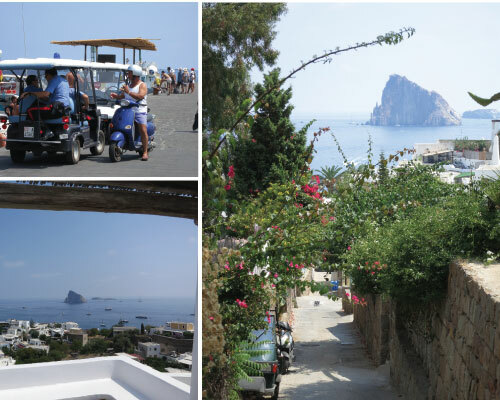 NC: What are your tips for a nettement chic day in Panarea? Anne-Sophie: Start the day with breakfast and people watching at the port. After a seriously strong Sicilian espresso and a "cornetto" (croissant in italian), it's time to head for the sea. The island is totally volcanic which means no sandy beaches. But the water is fabulous and a day on a boat visiting the surrounding coves is a must. Don't miss the volcano of Stromboli which sits opposite Panarea. Lunch in one of the many trattoria around the island is a perfect way to take a break from the sun. Beware, the spaghetti alle vongole can quickly become an addiction! If you do head off to discover the island's interior you will be on foot or in an electric mini-moke as there are no cars on Panarea. NC: What is the indispensable item to be perfectly chic in Panarea? Anne-Sophie: I can't chose between my Jem, Jacquie Aiche and Pietra Dura jewellery that I always have with me and Margaux Lonnberg's fabulous tee-shirts!